We offer a wide variety of custom flags, including car flags, printed flags, stick flags and any other custom made flag or banner you can think of. Whether you may be advertising, fundraising, or celebrating an event, let AGAS Mfg be there to help you make your event stand out with a flag or banner of your own design. We offer a variety of personalized flags including advertising flags, digitally printed flags, screen sublimated flags, printed flags, car flags, streamers, stick flags and much more! Let us help you make the vision for your flag a reality today. For custom banners please go to our banners website: www.custombanners.com. Or click the button below to live chat with one of our representatives! AGAS Mfg Inc has graphic designers on hand to help you design any flag or banner that is perfect for your occasion or promotion. We have thousands of options to choose from including different flag sizes, shapes, fabrics, and printing techniques to make exactly the flag that you need. THE CUSTOM FLAG YOU WANT IS WAITING FOR YOU! Feel free to ask about our wide variety of unique custom flags and banner options available! Our full time staff of graphic designers can help you rebuild your logo or design a flag from scratch. If you have any questions about our products or processes, or if you would like to obtain a quote, please contact us by phone: 866-269-3524, fax: 212-202-4830. 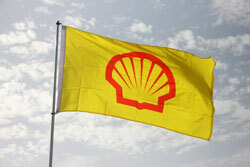 Custom digitally printed flags give you the flexibility order small quantities of flags with your own design. Digitally printed flags have no minimum so you can print 1 flag for your house, 10 flags for you baseball team or 100 flags for a fundraiser. Digital printing also reprints very complicated and colorful graphics clearly and brightly. With no extra run charges for colors, you can print any design you like on your flag or banner. AGAS Mfg offers a variety of sizes and materials for your custom digitally printed flags and banners. Smaller flags such as 12″x18″ up to 2’x3′ flags are great for your house, boat or golf cart. 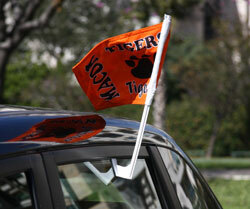 Larger 3’x5′ or 5’x8′ flags are the perfect size for outdoor flag poles. There is no limit or restrictions to flag sizes. We can make you any size you need. 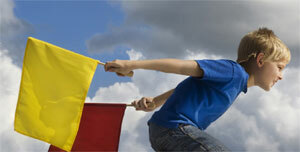 For pricing on non-standard sized flags please speak with one of our experienced sales representatives. When choosing a flag material it is important to determine what the flag will be used for first. Indoor materials such as economy polyester or silk polyester are perfect for indoor displays. Knitted polyester and Nylon are heavier duty outdoor fabrics that are specially formulated to withstand the wear and tear associated with outdoor use. Knitted polyester is especially good for high wind applications and environments. Our knowledgeable sales staff can help you choose the size, material and finishing that is just right for your flag. Our talented graphic design team can help you design your flag so that you receive exactly the flag you need. Whether you are looking to create a personalized gift or a few custom flags to show your team pride, AGAS is the custom flag manufacturer for you.